Sinabung volcano Volcanic Ash Advisory: DISCRETE ERUPTION TO FL120 EXT TO E.
Sinabung volcano Volcanic Ash Advisory: VA EMISSION TO FL100 EXTD WNW LAST OBS 18/2300Z. Sinabung volcano Volcanic Ash Advisory: VA OBS TO FL140 EXT TO W AT 21/0010Z. Sinabung volcano Volcanic Ash Advisory: VONA STATE ERUPTION TO FL180 EXT TO E/SE AT 19/0914Z. Sinabung volcano Volcanic Ash Advisory: VA OBS TO FL100 EXT TO W AT 12/0230Z. Sinabung volcano Volcanic Ash Advisory: VA OBS TO FL120 MOV SW AT 25/1430Z. 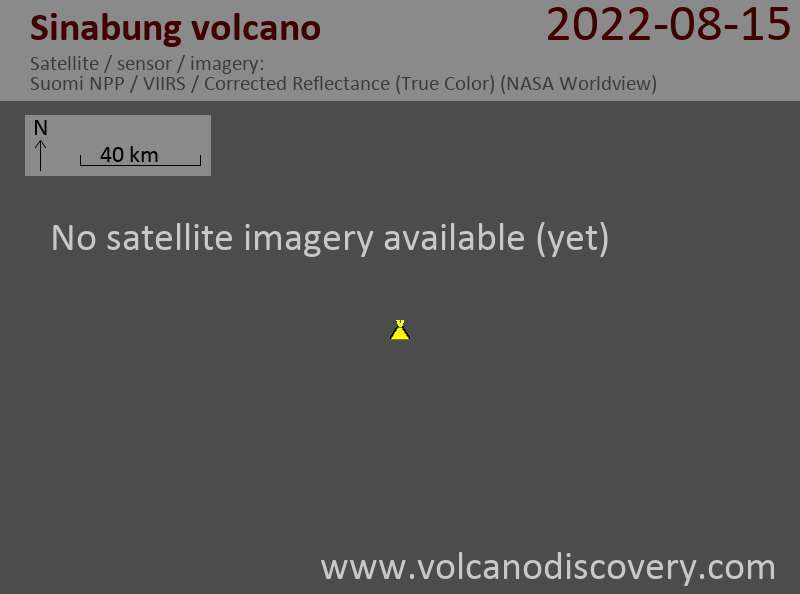 Sinabung volcano Volcanic Ash Advisory: VA OBS TO FL110 ON WEBCAM AT 25/0024Z. The volume involved was at least 1.6 million cubic meters of rock. Sinabung volcano Volcanic Ash Advisory: VA OBS TO FL450 MOV N AND FL140 TO E.
VAAC Tokyo reported an ash plume that rose to initially estimated 50,000 ft (15 km) altitude and drifted east. Later statements reduced this numbers to approx. 20-25,000 ft (7-8 km). Our team on location observed that during the event, a bigger portion of the lava lope extending from the summit dome on the upper steep southern flank broke off. Most likely, the eruption was a combination of collapse and explosion from accumulated gas overpressure in the upper conduit and lava dome. Sinabung volcano Volcanic Ash Advisory: DISCRETE VA ERUPTION TO FL500 MOV E.
Sinabung volcano Volcanic Ash Advisory: CVGHM REPORT DISCRETE ERUPTION TO FL150 MOV S AT 15/1307Z. Sinabung volcano Volcanic Ash Advisory: ERUPTION REPORTED TO FL110 MOV SW AT 05/0030Z. Sinabung volcano Volcanic Ash Advisory: VA ERUPTION REPORTED TO FL120 AT 03/0846Z. Sinabung volcano Volcanic Ash Advisory: ERUPTION REPORTED TO FL130 MOV S AT 01/1430Z.